Monique DeBose has never been one to shy away from life’s challenges. The Sovereign One, which drops on September 27, encapsulates a wealth of experience into seven songs in which the LA-based songwriter and vocalist offers up messages that are both personal and universal, messages of acceptance, of empowerment and of pride. The journey to this time and place – emotionally and stylistically – has been a rather circuitous one. The daughter of a mixed-race couple, Monique realized at a very early age that she was destined to be a performer. Music was her constant companion throughout her early years in LA. At home, she was exposed to artists such as Marvin Gaye and Elvis. “My uncle Chuck would be Elvis at family get-togethers, and my younger sister and I would be his background singers – The DeBose- ettes,” she remembers. Unfortunately, that attraction to performing was dampened by an incredible shyness. While attending Hamilton High School’s Music Academy, Monique took up the violin. A far cry from her desire to be part of the school’s performing crew, playing the violin allowed Monique to remain in the background even as her soul strove to stride to the front of the stage. In life, especially in one’s younger years, the direction that life takes is often not up to us. Raised to defer to the desires that our parents have for our future, we bury our own dreams in deference to theirs. And so, Monique entered UC Berkeley to study applied mathematics. While her vision of a career in music took a back seat to her studies, it was at Berkeley that Monique first truly embraced her blackness, resulting in her bold and frightening mission to initiate conversation and to help heal race relations in America. Although she was deeply involved in her studies, Monique’s desire to perform would not stay buried. She enrolled in an improvisational singing workshop, took to it immediately and continued to perform in that style throughout her years at Cal. The message of transcending your own stories is a theme that runs throughout Monique’s songs on The Sovereign One. This is an album about charting your own course, following your dream and reclaiming the parts or yourself that you’ve given away. Through the sultry opening track, “Damaged Goods,” to the powerful, rallying call of the appropriately titled “Rally,” to the lush romantic ballad “Let You Love Me” – Monique uses the prism of her own life to convey messages that are both pointed and poignant. 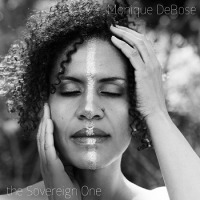 Through The Sovereign One’s sultry opening track, “Damaged Goods,” to the powerful, rallying call of the appropriately titled “Rally,” to the lush romantic ballad “Let You Love Me,” Monique claims her own rightful place as a strong, powerful woman, using the power of music to empower all women to do the same, to revel in their desire with no apology (on New Wine, Old Skin) and to allow themselves to simultaneously experience freedom and belonging (“Valentine.) On The Sovereign One Monique was supported by Isaac and Thorald Koren of The Kin (who have also performed with Coldplay, Rod Stewart, and Pink), Dylan Meek on piano and organ, Edwin Livingston on upright bass, Shakerleg on drums and Fatima Williams on vocals. All About Jazz musician pages are maintained by musicians, publicists and trusted members like you. Interested? Tell us why you would like to improve the Monique DeBose musician page.